In Luxembourg, there are no laws dedicated specifically to Islamic financial products or services. The existing legal framework has proved both flexible and innovative enough to accommodate the demands of Islamic financial practitioners, implementing various shariah-compliant structures through the use of Luxembourg vehicles and legislation. It is also relatively common and straightforward to combine, in a single transaction, elements of Luxembourg law with foreign law-governed agreements and structuring tools, such as, for instance, a trust governed by English law. Although it currently has no equivalent under Luxembourg law, an English law trust will generally be recognised, subject to certain conditions, by Luxembourg courts on the basis of the Convention on the law applicable to trusts and on their recognition concluded at The Hague on 1 July 1985. An English law trust declared in favour of sukuk holders over the underlying assets held by the issuer of sukuk will allow sukuk holders to retain a form of ownership over those underlying assets as prescribed by shariah law. The regulatory regime applicable to credit institutions in Luxembourg is mainly shaped by the European directives and regulations dealing with the banking and the investment sectors,7 as further completed by national law. All the provisions and requirements in force in Luxembourg relevant for credit institutions would apply to Islamic banks as no specific regime is provided, or indeed required, for this type of institution. This was confirmed by the findings of a cross-sector task force set up by the Luxembourg government in 2008. The relevant provisions of European law are implemented in large parts in the Luxembourg act of 5 April 1993 on the financial sector, as amended (the Banking Act), and in the Luxembourg act of 18 December 2015 on the failure of credit institutions and certain investment firms. According to the Banking Act, no person established under Luxembourg law may carry on the business of a credit institution without holding a written authorisation from the Minister responsible for the Commission de surveillance du secteur financier (the CSSF), which is the Luxembourg banking and financial supervisory authority. This licensing requirement to carry out banking and financial activities also applies to Islamic banks. Since 2014, Luxembourg has been a participating member of the Single Supervision Mechanism (SSM), which means, among other things, that entities willing to carry out banking activities in and from Luxembourg must obtain their licence from the European Central Bank (ECB), through the services of the CSSF (which remains the point of entry of the licence applications). Except for covered bond banks (the exclusive activity of which is to issue covered bonds), Luxembourg banks (including Islamic banks) qualify as ‘universal’ banks (which means that Luxembourg credit institutions are authorised to carry out any activity of the financial sector). According to the principle of the European passport, a Luxembourg bank may provide services, either through a branch or on a cross-border basis, in any other country of the European Economic Area (EEA) without any further licensing requirement in a host country. A Luxembourg branch of a third-country institution (from outside the EEA) would, however, need a specific type of licence in Luxembourg, which would not allow it to benefit from the European passport. 2 those relating to investors’ and clients’ protections that mainly stem from MiFID and the EU consumer protection rules. The prudential regulation imposes a number of requirements and ratios in terms of internal governance, own funds, liquidity and risk management, whereas the client and investor protection corpus requires certain conduct of business rules to be implemented and a high level of contractual formalism when dealing with clients. As mentioned above, the CSSF is Luxembourg’s national competent authority for banks with respect to both the prudential aspects and the client protection aspects. However, in the context of the SSM, the competence of the CSSF in relation to prudential matters is delegated to it by the ECB, which is now, as a matter of principle, the competent supervisory authority in the Eurozone. Any credit institution that will qualify as a significant institution would be under the direct supervision of the ECB for those aspects. The CSSF remains the competent authority for less significant institutions. Shariah investment funds may be set up under the general legal framework applicable to investment funds in Luxembourg as there is no specific legal requirement concerning these products.8 Therefore, these funds fall, depending on their structure, within the scope of the Companies Act,9 the AIFM Act10 or one of the Product Acts.11 The Association of the Luxembourg Fund Industry (ALFI) has also published a set of best practice guidelines for setting up and servicing Islamic investment funds,12 which have become an international standard in the financial sector.13 Thus, from a supervisory and regulatory perspective, there is no particular distinction between a shariah investment fund and any other type of fund. As regards the offering of securities in Luxembourg – whether by way of private placement, an offer to the public or admission to trading on the regulated market or the Euro MTF market of the Luxembourg Stock Exchange, the same rules apply to sukuk as to conventional bonds. While private placements are not subject to any regulation and can be carried out without any form of offering document, an offer of securities to the public will (unless an exemption is available) have to be conducted in accordance with the Prospectus Act,17 which requires the publication of a prospectus drafted in accordance with the Prospectus Regulation.18 The Prospectus Act also requires a prospectus to be published in connection with the admission of securities to trading on the regulated market of the Luxembourg Stock Exchange. Once approved in Luxembourg by the CSSF (in circumstances where Luxembourg is the issuer’s Home Member State within the meaning of the Prospectus Act), a prospectus prepared in compliance with the Prospectus Act and the applicable annexes of the Prospectus Regulation can be used for public offers or admission to trading on regulated markets in other countries of the EEA without the need for a separate approval from the local competent authorities (subject to the CSSF notifying the competent authorities of its approval). Issuers of securities traded on the regulated market of the Luxembourg Stock Exchange will have to comply with the highly harmonised ongoing obligations relating to transparency and prohibition of market abuse. Alternatively, securities may be admitted to trading on the Euro MTF market of the Luxembourg Stock Exchange, which is not included in the list of regulated markets published by the Commission of the European Union (the European Commission), but which has built up a strong international reputation among issuers and investors. An offering circular to be prepared in connection with trading on the Euro MTF market will be approved by the Luxembourg Stock Exchange and it must comply with the disclosure requirements set out in the Rules and Regulations of the Luxembourg Stock Exchange – these requirements are lighter than those under the Prospectus Act but they do not offer the possibility of ‘passporting’ the offering circular to other jurisdictions. The Rules and Regulations of the Luxembourg Stock Exchange also prescribe most of the ongoing disclosure requirements applicable to issuers of securities admitted to trading on the Euro MTF market. On 26 January 2011, the CSSF published a press release on rules applicable to sukuk in the context of preparing a prospectus compliant with the Prospectus Act.19 In that press release, the CSSF clarifies that sukuk may be regarded as asset-backed securities within the meaning of Article 2.5 of the Prospectus Regulation or, where the payment of principal and periodic distributions are guaranteed on a contractual basis (as opposed to being dependent on the performance of the underlying assets), as guaranteed debt securities. Using these criteria, it is possible to determine with certainty the content requirements for a prospectus relating to sukuk, as set out in the Prospectus Regulation. In Luxembourg, there is no office or authority charged with the supervision and monitoring of Islamic financial transactions or market participants using shariah-compliant structures. The CSSF is a secular institution, which will treat Islamic financial transactions in the same way as any other financial activity subject to its supervision. The extent of the CSSF’s supervisory role is very broad and covers a wide range of actors in the financial sector, including regulated investment funds (also those that are shariah-complaint), regulated securitisation vehicles and credit institutions, to name just a few (but excluding insurance undertakings, which are supervised by the Insurance Commission. If a particular project falls within the scope of the CSSF’s competence, the regulator will aim to ensure compliance with all relevant Luxembourg laws and regulations. Whether the project also meets the conditions set under shariah law would, from a Luxembourg law perspective, be a matter of contractual arrangements between the parties. From a regulatory standpoint, shariah-compliant investment funds can either be structured as undertakings for collective investment in transferable securities (UCITS) governed by Part 1 of the 2010 Law25 or alternative investment funds (AIF) within the meaning of Directive 2011/61/EU, as amended (the AIFMD). The main difference between the two kinds of funds is that only UCITS can be marketed on a pan-European cross-border basis to retail and professional clients under the UCITS passport, whereas AIFs can principally only be marketed to professional investors26 under the AIFMD passport regime. A SIF is a lightly regulated, operationally flexible and tax-efficient multipurpose investment fund regime for a qualified, international and institutional pool of investors.27 Even though a SIF does not have to comply with specific investment restrictions, it must follow the principles of risk diversification.28 A SICAR is a regulated and tax-efficient structure, specifically designed for private equity and venture capital investments.29 As opposed to a SIF, a SICAR may concentrate its assets in one single project as long as it invests in risk capital. A RAIF is a vehicle encompassing the characteristics and structuring flexibilities of SIFs or, alternatively, SICARs, without being subject to any regulatory approval or supervision by the CSSF. The supervision is, however, operated indirectly as the manager remains regulated under the AIFMD. Another option available to shariah promoters and investors is a Part II Fund, which is a flexible but regulated vehicle open to both retail investors and professional investors. They must invest their assets according to the principles of risk diversification but are not limited as to the type of assets they can hold. 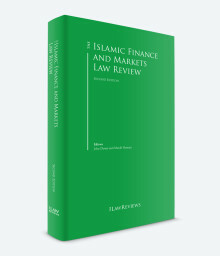 With respect to leverage, under shariah law, debt financing and the payment of interest are proscribed (riba).37 In practice, however, it is usually accepted that a shariah-compliant fund may engage in leverage through the use of shariah-compliant financing instruments.38 Conventional loans or interest-bearing instruments are not permitted. It is also conceivable to open investment to additional equity-based investors using a musharakah contract whereby each investor has management rights in proportion with its investment in the fund.39 Shariah-compliant property investments can also be achieved by using a mudarabah or an ijarah contract.40 The mudabarah contract is similar to the relationship between a Luxembourg general partner (i.e., fund manager) and the limited partners (i.e., investors).41 By contrast, an ijarah contract is a lease contract for a specified asset or the usufruct of a specified asset.42 The rules governing ijarah may be considered similar to those governing conventional leases,43 subject to limitations provided for by the shariah law. Many issuances of sukuk in Luxembourg have been structured using a Luxembourg securitisation undertaking subject to the Securitisation Act. The securitisation undertaking may be set up in the form of a company or a securitisation fund managed by a Luxembourg management company. Securitisation funds do not have legal personality; they are constituted by one or more co-ownerships of assets or fiduciary estates, which provide a closer connection between the investors and the underlying assets – a considerable advantage from the point of view of shariah law.44 While the vast majority of securitisation undertakings are unregulated, a securitisation undertaking that offers securities to the public more than three times per year needs to apply for a licence from the CSSF to qualify as a regulated securitisation vehicle for the purposes of the Securitisation Act. 2 to finance the acquisition or assumption of those risks issues securities, whose value or yield depends on those risks. Risks to be securitised may be related to all kind of assets, including claims, receivable or equity interests, with no requirement of risk diversification. Unlike funds, securitisation undertakings must not actively manage securitised assets. The Securitisation Act allows a securitisation undertaking to set up multiple compartments by a simple decision of its board of directors. Each compartment forms a distinct and independent part of the securitisation undertaking’s assets and is segregated from its other compartments and general estate. One or more securitisations can be carried out independently out of each individual compartment, which significantly reduces transaction costs as one vehicle can be used for an unlimited number of distinct transactions. For instance, it would be possible for one securitisation undertaking to create several compartments, some of which would be dedicated to shariah-compliant transactions, while the other compartments could be used for issuing conventional securities. Investors (irrespective of whether they hold equity or debt securities) will only have recourse to the assets comprised in the compartment to which the securities they hold have been allocated. A securitisation vehicle is considered insolvency remote – a feature much valued by rating agencies. The main characteristics of Luxembourg’s sophisticated securitisation regime – the ring-fencing of compartment assets, priority of payments, limited recourse, prohibition of seizure of assets and non-petition for bankruptcy – are protected not only by contractual arrangements, but are also expressly recognised by the Securitisation Act. Legal proceedings initiated against a securitisation undertaking in breach of those provisions will, in principle, be declared inadmissible by a Luxembourg court. It should also be mentioned that a securitisation undertaking issuing exclusively debt instruments (and sukuk is regarded as such from a Luxembourg law perspective) will be able to rely on an exemption from the scope of AIFM Act. Other exemptions from the AIFM Act may also be available. One of the popular Islamic finance structures that have been put in place in Luxembourg using a securitisation vehicle is murabahah. A pioneering transaction, which combined a reducing revolving convertible murabahah with a note issuance, involved a Luxembourg securitisation company that acted both as the issuer of conventional bonds and as the lender under the murabahah facility. The issuer used the proceeds of the bonds to purchase certain commodities, which it subsequently sold, on deferred payment terms, to an Islamic investment bank for a sale price equal to the acquisition cost plus profit. The cash payments of the deferred sale price were used by the issuer to meet its obligations towards the bond investors. Additionally, the bondholders had the option to convert the cash distributions due to them under the bonds into shares of the lender under the murabahah contract (which constituted the securitised asset for the purpose of the bond issue). Luxembourg issuers, some of them ordinary companies as opposed to securitisation undertakings, are regularly used to issue sukuk, the proceeds of which may be invested, directly or indirectly, in assets such as real estate or aircrafts. A stream of rental income generated by those underlying assets is then distributed to investors via payments under the sukuk. Notably, Luxembourg has played host to a joint venture formed among prominent Islamic and conventional financial actors who invested, through a mixture of equity and sukuk, in a Luxembourg special purpose vehicle (LeaseCo) to acquire a string of retail properties leased to tenants. In return for the right to control the target properties and receive rents, LeaseCo paid the issue proceeds of the sukuk to a Luxembourg joint venture vehicle (PropCo), thereby enabling it to purchase the shares of the company whose subsidiary owned the relevant properties. Any rewards associated with the ownership of the properties were to be extracted by the joint venture members via payments made by LeaseCo in respect of the sukuk. Another example of the successful application of Luxembourg law in the implementation of Islamic financial transactions is the issue of sukuk using a two-tier securitisation structure by an international Islamic organisation. This type of set-up is expressly permitted under the Securitisation Act and involves two securitisation undertakings: an issuing vehicle and an acquisition vehicle. In the case at hand, the issuing vehicle issues, on an ongoing basis, trust certificates and contributes the proceeds to the acquisition vehicle in exchange for the undivided beneficial ownership interest in shariah-compliant assets purchased by the acquisition vehicle using the contribution from the issuing vehicle. Those assets are held by the acquisition vehicle for the benefit of the issuing vehicle under an English law trust. The issuing vehicle, for its part, holds the undivided ownership interest on trust for the holders of the trust certificates as well as acting as their agent (wakeel). Through its undivided beneficial ownership, the issuing vehicle is entitled to receive profits and redemption amounts generated by the underlying assets and uses the sums so received to honour its obligations under the trust certificates. Whereas there is no specific framework regulating Islamic finance transactions in Luxembourg from a legal perspective, there are two circulars issued by the directors of the direct tax administration and the indirect tax administration regarding the Luxembourg direct and indirect tax treatment of murabahah transactions and sukuk. For the purposes of the following paragraphs a murabahah transaction is to be understood as an agreement transaction consisting of two consecutive sales of a certain asset whereby, at the first stage, a party (the Financier) purchases an asset from a third party upon the request of its counterparty (the Purchaser), and then, at the second stage, resells the asset to the Purchaser at a marked-up price, payable by the Purchaser on a deferred basis. From a Luxembourg general tax perspective, the ‘capital gain’ generated at the hands of the Luxembourg Financier upon the mere execution of the second sale and purchase agreement between the Financier, as seller, and the Purchaser, would, in principle, be fully taxable at a current combined rate of 27.08 per cent (corporate income tax, increased by the solidarity surcharge, and municipal business tax for companies established in Luxembourg City). However, Circular LG.-A No. 55 issued by the director of the Luxembourg direct tax administration on 12 January 2010 (the Direct Tax Circular) provides for deferred taxation of the capital gain on a straight-line basis over the full period of the payment deferral under the murabahah agreement (which usually corresponds with the duration of the murabahah agreement), notwithstanding any reimbursements made during this period. From an economic perspective,46 the Direct Tax Circular compares the ‘capital gain’ generated in the hands of the Luxembourg Financier to the remuneration for giving the Purchaser the possibility of deferred payment, i.e. it is treated for Luxembourg tax purposes as ordinary interest income, which would have been earned by the Luxembourg Financier under conventional financing. It should be noted that the deferred taxation is available only for remuneration earned by the Financier for giving the possibility of deferred payment to the Purchaser and not, for example, any intermediation fee that the Financier may receive. e from an accounting and tax perspective, the Financier’s profit must be booked in the same way. In other words, the pure profit (i.e., the remuneration for the possibility of deferred payment) must be spread over the period of the deferred payment contained in the murabahah agreement, regardless of the actual dates of repayment. If the Purchaser is a Luxembourg tax resident, any payments remunerating the Financier for giving the Purchaser the possibility of deferred payment under the murabahah agreement should, in principle, be exempt from Luxembourg withholding taxes and should also be deductible for tax purposes unless they relate to items of income, which are exempt in Luxembourg (e.g., foreign real estate) and provided that the conditions above are met. Depending on the underlying asset of a murabahah agreement, Luxembourg registration duties could be due, in principle, on each sale and purchase of the said asset (e.g., Luxembourg situs real estate). 2 the Financier explicitly declares in the first notarial deed (documenting the purchase) that the real estate asset will be subsequently resold. 3 the first sale and purchase agreement must contain a clause stating that the transaction is being carried out as a murabahah agreement, a copy of which must be annexed to the notarial deed relating to the first sale and purchase agreement. The issue of sukuk should, in principle, not give rise to any registration duties in Luxembourg, provided that the terms and conditions of the sukuk are not physically attached to a public deed or to any other document subject to mandatory registration in Luxembourg. If the proceeds derived from the issue of sukuk are used for instance to purchase Luxembourg situs real estate, registration duties would, in principle, be due with respect to the purchase agreement relating to the real estate properties. The Indirect Tax Circular states that Financiers created for the purpose of a murabahah transaction are treated under Luxembourg value added tax (VAT) law as taxable persons. Shariah-compliant funds structured as UCITS, Part II Funds, SIFs and certain types of RAIFs are exempt from any Luxembourg income, withholding, capital gains or net wealth taxes. They are, however, subject to an annual subscription tax ranging between 0.01 per cent and 0.05 per cent, calculated and payable quarterly on their aggregate net assets as valued at the end of the relevant quarter. Certain exemptions and reductions can apply. SICARs and certain types of RAIFs (RAIFs carrying out risk capital investments and opting out for a special tax regime identical to the regime applicable to SICARs) may be incorporated in the form of a fiscally opaque vehicle or as a tax transparent vehicle. If set up as tax opaque vehicles, these are considered as fully taxable companies (i.e., subject to corporate income tax, municipal business tax and the solidarity surcharge), but benefit from an exemption on any income derived from transferable securities connected with investments in risk-bearing capital or for cash held for the purpose of a future investment. These types of funds may, however, be subject to the minimum net wealth tax regime. Further, with respect to VAT, pursuant to Circular No. 723 of 29 December 2006, undertakings for collective investment are, in principle, considered as VAT-taxable persons. Thus, Luxembourg VAT may be applicable under the reverse charge mechanism whereby a fund domiciled in Luxembourg receives taxable services from suppliers located in other EU Member States, unless a specific VAT exemption may be secured (such as fees on the negotiation of securities, for example). A fund would in principle have no right to deduct input VAT as it should normally carry out activities that are exempt from VAT only. Securitisation undertakings subject to the Securitisation Act benefit from a favourable tax regime. If set up as a company, they are, in principle, fully taxable companies, subject to corporation taxes at a current combined rate of 27.08 per cent (corporate income tax, increased by the solidarity surcharge, and municipal business tax for securitisation undertakings established in Luxembourg City). However, the Securitisation Act states that the obligations assumed by securitisation undertakings towards their investors (including shareholders) and any creditors are to be considered as tax deductible expenses. In other words, securitisation undertakings are able to deduct any payments due or made to any investors, or creditors, from their taxable profits. Securitisation undertakings are exempt from net wealth tax, except for the minimum net wealth tax. With respect to VAT, securitisation undertakings are considered VAT-taxable persons if they are deemed to be carrying out an economic activity. If a securitisation undertaking qualifies as a VAT-taxable person, Luxembourg VAT may be applicable under the reverse charge mechanism if a securitisation undertaking domiciled in Luxembourg receives taxable services from suppliers located in other EU Member States. A securitisation undertaking would in principle have no right to deduct input VAT as it solely carries out activities, that are exempt from VAT. In Luxembourg, there is no special insolvency regime with respect to shariah-compliant products. In insolvency or restructuring scenarios, holders of sukuk should, in principle, be treated in the same way as holders of conventional bonds. This is in line with the position of the Luxembourg direct tax administration, expressed in the Direct Tax Circular, according to which there should be no difference in the tax treatment of sukuk and conventional bonds49. In this respect, it is important to highlight the advantages of using Luxembourg securitisation undertakings subject to the Securitisation Act, which frequently act as issuers of sukuk. As discussed above, such securitisation undertakings are bankruptcy-remote and their investors benefit from a high level of protection and legal certainty embedded in the law. Thanks to provisions such as the compartmentalisation of rights and claims relating to different transactions and the limitation of investors’ recourse to the assets available in the compartment in which they have invested, the risk of the entire vehicle becoming insolvent is very small. Any conflicting matter in relation to regulated funds or their Luxembourg regulated manager may potentially be dealt with by the CSSF following the out-of-court resolution of the complaints procedure. The CSSF’s out-of-court resolution of disputes procedure is provided on a voluntary basis. It aims to simplify the resolution of disputes without the need for legal proceedings. Opening an out-of-court complaint resolution procedure with the CSSF is subject to the condition that the complaint has been dealt with by the management of the relevant professional beforehand. In this respect, the complaint must have been first submitted in writing to the individual responsible for complaint handling.51 If CSSF does not manage to resolve the issue, the parties are therefore free to bring their claim before the relevant tribunal. To the best of our knowledge, there has been no Luxembourg court case that would have impacted the treatment of Islamic finance products or structures implemented under Luxembourg law or using a Luxembourg vehicle. The CSSF has signed memoranda of understanding (MoU) with the supervisory authorities of a number of major markets in the area of Islamic finance such as Bahrain, Malaysia, Oman, Qatar, United Arab Emirates (including Dubai and Abu Dhabi).52 Following the European Securities and Markets Authority’s approval of cooperation agreements between EU securities regulators and their international counterparts, the CSSF has also signed MoU with supervisory authorities of third countries, such as Egypt, Malaysia and Dubai,53 meeting the requirements of the AIFMD in view of developing cooperation agreements. Luxembourg has also signed double taxation treaties with major actors in Islamic finance such as Malaysia, Saudi Arabia and Qatar,54 and other treaties are currently under negotiation with Kuwait, Lebanon and Oman.55 These developments highlight the growing interest for Islamic finance, and are in line with the proactive approach adopted by the Luxembourg government aimed at making the Grand Duchy of Luxembourg an attractive place for Islamic financial players.56 Although shariah-compliant products and structures have become a regular feature on the list of services offered by Luxembourg’s diverse and dynamic financial sector, there is still potential for growth and numerous opportunities are waiting to be explored. 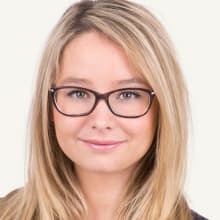 1 Frank Mausen is a partner, Christopher Dortschy is a counsel, Evelina Palgan is a senior associate and Zofia White is a junior associate at Allen & Overy SCS (Luxembourg). 2 Luxembourg for Finance, Islamic Finance, January 2017. 3 Ernst & Young, Luxembourg: the gateway for Islamic finance and the Middle East, EY Luxembourg, May 2017. 4 Luxembourg for Finance, Islamic Finance, January 2017. 6 Ernst & Young, Luxembourg: the gateway for Islamic finance and the Middle East, EY Luxembourg, May 2017. 7 The most recent and fundamental pieces of legislation being Directive 2013/36/EU (CRD IV) and Regulation (EU) 575/2013 (CRR) in the banking field and Directive 2004/39/EC, repealed by Directive 2014/65/EU on market in financial instruments (MiFID) in the investment field. 8 CSSF, Investment Funds and Islamic Finance, 11 May 2011. 9 The Luxembourg act of 10 August 1915 on commercial companies, as amended. 10 The act of 12 July 2013 on alternative investment fund managers, as amended. 11 The term refers to the act of 15 June 2004 relating to the investment company in risk capital (SICAR) (the SICAR Act); the act of 13 February 2007 concerning specialised investment funds (SIF) (the SIF Act); the act of 17 December 2010 relating to undertakings for collective investment (UCI) (the UCI Act); and the act of 23 July 2016 on reserved alternative investment funds (RAIF) (the RAIF Act); each as amended or replaced from time to time. 12 ALFI, Recommendations for setting up and servicing Islamic funds, December 2012. 13 Luxembourg for Finance, Islamic finance, January 2017. 14 CSSF, Investment Funds and Islamic Finance, Luxembourg, 11 May 2011. 15 The Luxembourg act of 22 March 2004 on securitisation, as amended. 16 Luxembourg for Finance, Islamic Finance, January 2017. 17 The Luxembourg act of 10 July 2005 relating to prospectuses for securities, as amended. 18 Regulation No. 809/2004 of the European Commission, as amended. 19 CSSF, Rules applicable to ‘sukuk’, 26 January 2011.
https://www.bourse.lu/documents/brochure-LISTING-Sharia.pdf, accessed in September 2017. 22 Muhammad Ayub, Understanding Islamic Finance, 2009. 23 The most commonly used corporate forms are those of a public limited company (société anonyme), a private limited liability company (société à responsabilité limitée), a corporate partnership limited by shares (société en commandite par actions), a common limited partnership (société en commandite simple) or a special limited partnership (société en commandite spéciale). 24 This refers to the fonds commun de placement (FCP). Investment funds in the form of an FCP can only be set up under the UCI Act, the SIF Act and the RAIF Act. 25 UCITS are UCIs that are compliant with Directive 2009/65/EC, as amended (UCITS Directive). 26 UCIs under Part II of the UCI Act (Part II Funds) qualify as AIFs but can, from a Luxembourg perspective, be marketed to retail investors. 27 ALFI, sif-specialised investment funds, available at http://www.alfi.lu/setting-luxembourg/alternative-investment-funds/sif, accessed in September 2017. 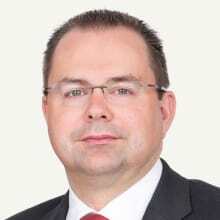 29 ALFI, sicar – investment company in risk capital, available at http://www.alfi.lu/setting-luxembourg/alternative-investment-funds/sicar, accessed in September 2017. 30 European Commission, Background note: Draft Commission directive implementing Council Directive 85/611/EEC as regards the clarification of certain definitions, available at http://ec.europa.eu/internal_market/investment/docs/legal_texts/assets/070117_memo_en.pdf, accessed in September 2017. 31 European Commission, White paper on enhancing the single market framework for investment funds, 2006. 32 ALFI, Recommendations for setting up and servicing Islamic funds, December 2012. 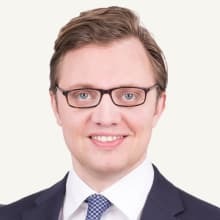 33 Oliver R Hoor and Pierre Kreemer, Luxembourg – Une localisation de choix pour structurer des investissements immobiliers conformes à la Sharia, Les Cahiers du Droit Luxembourgeois. 34 ALFI, Recommendations for setting up and servicing Islamic funds, December 2012. 37 Karim Ginema and Azhar Hamid, Foundation of Shariah Governance of Islamic Banks, 2015. 38 Luxembourg for Finance, Islamic Finance, available at http://www.luxembourgforfinance.com/sites/luxembourgforfinance/files/lff_brochure_islamic_finance.pdf, accessed in September 2017. 39 Monzer Kahf, Islamic finance contracts, 2013. 40 Luxembourg for Finance, Islamic Finance, available at http://www.luxembourgforfinance.com/sites/luxembourgforfinance/files/lff_brochure_islamic_finance.pdf, accessed in September 2017. 41 ALFI, Recommendations for setting up and servicing Islamic funds, December 2012. 43 Bayt al-Tamwīl al-Kūwaytī, National Commercial Bank (Saudi Arabia), Islamic Asset Management: Forming the Future for Shari’a-compliant Investment Strategies, 2004. 46 Based on the fundamental principle of ‘economic analysis’ in Luxembourg tax law (wirtschaftliche Betrachtungsweise). 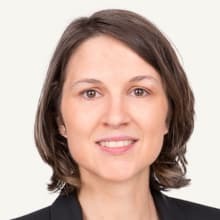 47 The 15 per cent withholding tax under Luxembourg tax law levied on payments made under certain participating debt instruments is explicitly excluded in the Direct Tax Circular. 48 Except for certain interest payments to Luxembourg resident individuals. 49 Florence Stainier and Bishr Shiblaq, Luxembourg, Islamic Finance and Markets 2014, Getting the Deal Through, Law Business Research Ltd, 2014. 51 CSSF, Customer complaints: Out-of-court complaint resolution, available at http://www.cssf.lu/en/consumer/complaints/, accessed in September 2017. 52 CSSF, List of Memoranda of Understanding signed by the CSSF, available at http://www.cssf.lu/en/eu-international/memoranda-of-understanding/, accessed in September 2017. 53 Ernst & Young, Luxembourg: the gateway for Islamic finance and the Middle East, EY Luxembourg, May 2017. 54 Luxembourg Inland Revenue, Conventions en vigueur, available at http://www.impotsdirects.public.lu/fr/conventions/conv_vig.html, accessed in September 2017. 55 Luxembourg Inland Revenue, Conventions en négociation, available at http://www.impotsdirects.public.lu/fr/conventions/conv_neg.html, accessed in September 2017. 56 Journal des Tribunaux Luxembourg, Fonds Islamiques – Le guide des bonnes pratiques de l’Association Luxembourgeoise des Fonds d’Investissement, Larcier, No. 26, 5 April 2013. As we noted in the Preface to last year’s edition of the Banking Litigation Law Review, banks will always be regular litigants – generally as defendants – and this year’s contribution of jurisdiction-specific chapters explains how and why.